This Accent Table offers a convenient way to eat or drink on your couch. 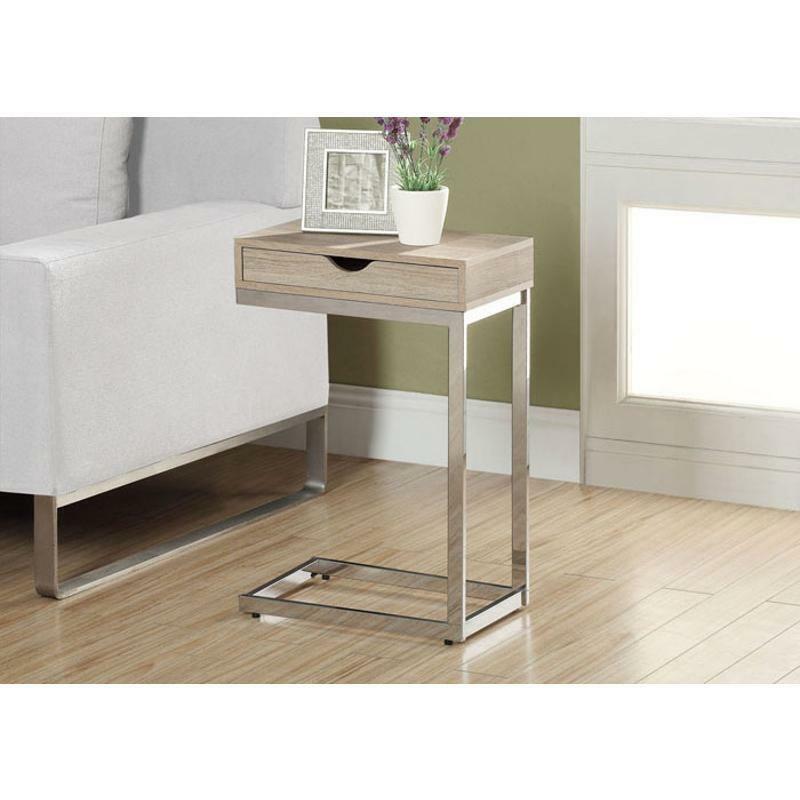 It features a natural reclaimed wood-look finish and a chrome base. You will find sufficient space to place your snacks, drinks and even meals. A large drawer provides hidden storage for magazines, mobile devices and remote controls. Its chromed metal base provides sturdy support along with a fashionable flair that will suit any décor.